GROWING HERBS… and GROWING MULCH! Join the Vic West Food Security Collective for a Volunteer Work Bee! The food forests fruits are starting to ripen, and tending to the plants is the best way to give back! 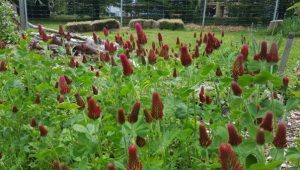 We’re looking for keen volunteers to help out with weeding gardens, watering the orchard & food forest plants, and helping out with chop n’ drop mulching and planning for the drip irrigation system! Volunteers are vital to the active stewardship of Banfield Commons Food Forest & Community Orchard!